Genevieve loves to do a lot of her clothes shopping at second hand stores, including the Salvation Army. 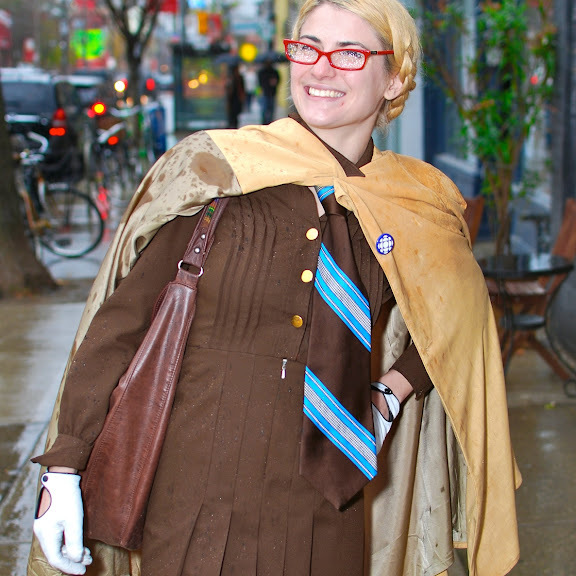 We adored her Brownies outfit underneath her vintage coat. When asked if she ever belonged to the girl's troop, she quickly responded, "God, no!" I really like her cape!